So, you’re newly engaged (Congratulations!) and are excitedly hitting the world-wide web to check availability of your dream venue only to be disappointed by the fact that they are booked solid for every Saturday until 2020. Fear not, there is another way, weekday weddings are becoming increasingly popular, and for good reasons. Availability – As we just mentioned, popular wedding venues like The Barns can be booked up well into the next and beyond if you are looking to get married at the weekend. By opting for a weekday wedding, you increase your chances of getting the venue you really want, and you’ll not have to wait! 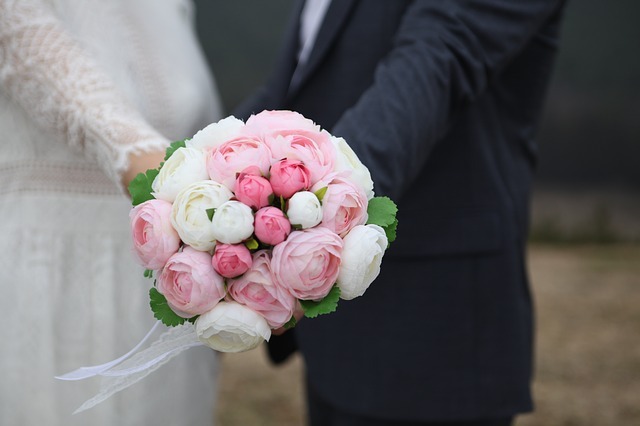 This doesn’t only apply to wedding venues either, many suppliers including bands, florists and many other suppliers will have more availability on a weekday, meaning you won’t have to compromise on what you want. Better Value – It’s simply a matter of supply and demand. Because weekend weddings are so popular, the price for a wedding venue and other wedding necessities is always higher at the weekend. By choosing a weekday wedding you’ll not only be keeping your own costs down, (more to spend on the honeymoon!) you’ll be keeping the travel and accommodation costs down for your guests too. More Choice – Here at The Barns, we are able to offer tailor-made weekday packages that offer much more flexibility. We offer options such as Buffet, Barbeque, Hog Roast, Afternoon Tea and Picnic options for you and you guests to enjoy in our beautiful and unique setting overlooking the stunning Nene Valley countryside. Of course, the best thing about a weekday wedding is that there will be no clashes with major sporting events! It’s not too late to book a weekday wedding for 2017.